Home Remedies To Control Hair Fall In Winter. For those suffering from various hair problems, winter is probably the worst season. Just like the skin, the scalp also becomes dry thus making hair prone to breakages, hair fall and split ends. One can simply control the fall by making a few changes in the daily hair care regime which is not just simple to follow but can also reverse major seasonal issues. Hair fall in winter can be extreme and hence one needs to be very careful following the homemade remedies by not overdoing them. Following are few of the winter hair fall therapies that can do wonders to your hair. Both egg and curd are full of proteins, vitamins and minerals that moisturize and hydrate the scalp and bring boost and shine to hair. Olive oil is one of the best remedy for hair fall in winters. Cinnamon helps regulate the blood flow in the scalp thereby reducing dryness. This is one of the best home remedies for dandruff and hair fall in winters as honey moisturizes the scalp and lemon makes it free of infections and keeps it clean of dandruff and other scalp conditions like dryness and itchiness. Onion is one of the best antioxidants for the hair and helps keep the scalp free of bacteria and fungal infections. Lemon provides the required vitamin C which keeps the hair follicles strong. Neem leaves act as one of the best deterrents for winter hair loss, as they fight off all free radicals that cause dandruff and other infections leading to hair fall. They are antiseptic in nature and help the scalp skin heal as well. Aloe Vera is known to be a magic ingredient when it comes to taking care of hair problems. It soothes the skin and helps in controlling winter hair fall tremendously. Coconut is a sure shot way to get rid of all skin and hair related problems. When hair fall in winter gets too hard to handle, coconut can surely help. It moisturizes the scalp and helps in proper blood circulation. Also being antioxidant and antibacterial, it keeps the scalp clean and infection free, leading to stronger hair follicles. Ginger is known to help get rid of dandruff, especially in winters. As dandruff is one of the major causes of hair fall in winter, ginger and lemon mask is a great remedy to cure it. One really has to take a lot of care to prevent hair loss in winter as hair is prone to lot of issues in the harsh season. There are various dos and don’ts one needs to follow to get perfectly long, thick and strong hair. Always use normal or cold water to wash hair. In winters, we generally use hot water which tends to shock the hair follicles and roots thereby weakening them causing hair fall. Avoid using a shampoo directly on the scalp as it tends to weaken the hair roots with loads of chemical compounds in it. Instead, make sure to always dilute it with a little water before applying. Make sure to massage your hair with any oil (preferably coconut or olive) at least once a week properly to increase blood circulation in the scalp. It keeps the hair follicles, roots and strands clean and strong and helps reducing winter hair fall. Drink lots of water and eat seasonal fruits and vegetables to gain nourishment for the hair. 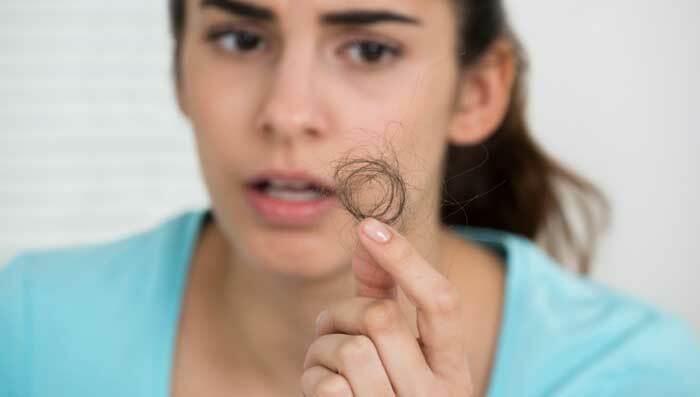 Never use a thin-teeth comb on hair as they tend to break them, leading to massive hair fall. Always use a wide-teeth comb that also help in keeping the blood flow in the scalp regulated. Avoid using lots of chemicals on hair and rely on natural and organic ways to take care of your hair.